Sumatra Swiss Water Decaf. - A Dark Roasted Organic Fair Trade Sumatran Coffee Decaffeinated. Home > Coffee > Sumatra Swiss Water Decaf. Roaster's Notes: Full bodied organic decaf. with notes of dark chocolate and stone fruit. 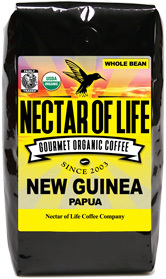 This exquisite blend is comprised of the finest Arabica Fair Trade, organic coffees Sumtra has to offer. 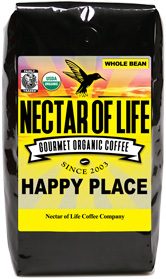 All the beans for this blend were decaffeinated by the Swiss Water® Process to ensure full organic compliance. We roast this blend dark, yielding an extremely complex, earthy, full bodied coffee. You'll swear its not decaf. (until you fall asleep)! 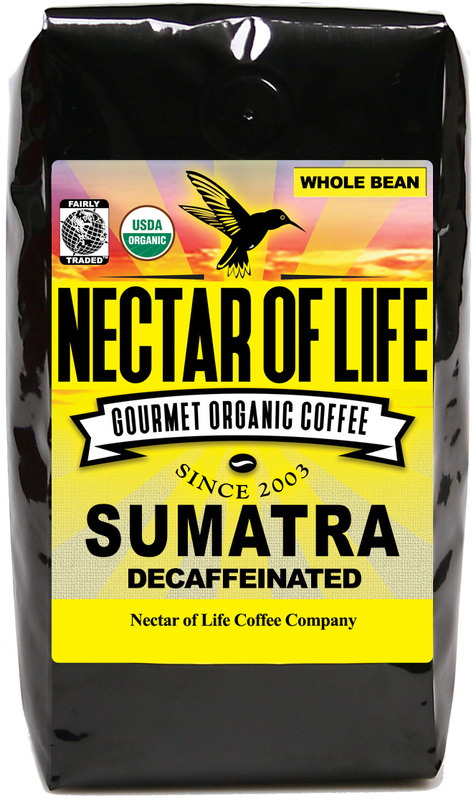 I'm a Sumatra fiend. It's been my coffee of choice for more than a decade. When i went caffeine-free for health reasons, finding my favorite beans locally without the caffeine became problematic. 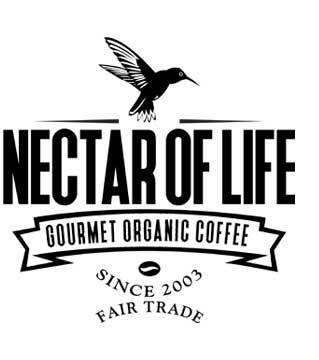 A web search revealed Nectar Of Life. This Sumatra Swiss Water Decaffeinated is better than any regular Sumatra I've ever had. Smooth and tasty. Thank you for your ethical business practices. We thought Starbucks had the best coffee ever. Then my husband started having stomach trouble when drinking any coffee. I decided it was time to try organic coffee. 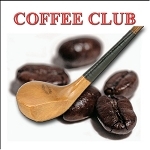 He can drink your coffee without any problems and it is THE best coffee we''ve ever had. Kudo''s to you!